Yes Vermont Yankee: Clean Air versus Efficiency Charges. Clean Air Wins. 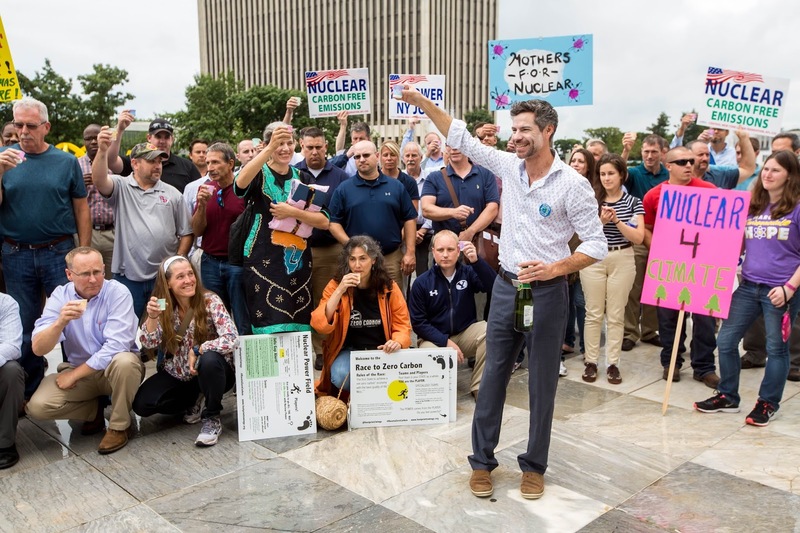 $50 million/year to Efficiency Vermont could have bought carbon-free electricity from Vermont Yankee at 5 cents/kWh, or 50 x 20 million kWh = 1000 million kWh. Typical household consumes 1000 kWh per month, or~ 10,,000 kWh/year. So that much carbon-free electricity could have supplied 100,000 Vermont households with free electricity. Half the households in Vermont! The thing about efficiency and conservation is that you still need an energy source to be efficient with or conserve. You can have the most "efficient" home or conserve the h*ll out of whatever it is you are using, but you still have to have that "thing", or energy source. Otherwise, without it you'll have a home that is just as dark and cold as the least efficient model. So then the question is, what will your source be? Should it be one that has over 90% capacity factor, runs all the time, day or night, rain or shine, does not pollute the air, and uses fuel in a most efficient and intense manner? I would certainly say so.